Since the late 80’s, the requirements for embedded systems in European space missions have become increasingly critical in terms of functionality, real-time, safety and reliability. In turn, the technologies with which those embedded systems are developed, tested and operated, have evolved to meet those requirements. This presentation will show this evolution as seen from the eyes of somebody who has had the privilege to help developing these missions and technologies, in an international environment, with different cultures and, of course, different ways to develop space embedded systems. Jorge Amador Monteverde (Tenerife, 1965), received an MSc in Computer Science from Universidad Politécnica de Madrid in 1988. He worked in GMV (Spain) as software engineer in a number of European space projects, including the International Space Station (ISS), Hermes shuttle and Envisat. In 1992 he joins the European Space Agency (ESA) in Noordwijk (Netherlands) as software engineer. He participated in several projects as on-board software responsible, including the European Robotic Arm (ERA) for the ISS, and the Vega launcher. He supported also a number of ESA scientific missions (SOHO, Cluster, Planck), the Envisat Earth Observation spacecraft, and the Galileo Navigation Signal Generation. He also managed a number of technology activities in the area of flight software, including real-time software design methods (HOOD, HRT-HOOD), and development & testing environments (Open Ravenscar Kernel – ORK). 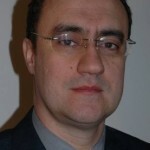 He has worked as Senior Technology Coordinator in the Electrical Engineering Department, in charge of consolidation and coordination of the R&D strategy for power generation and storage, telecom payloads, on-board computers, on-board networks, and software and microelectronics. 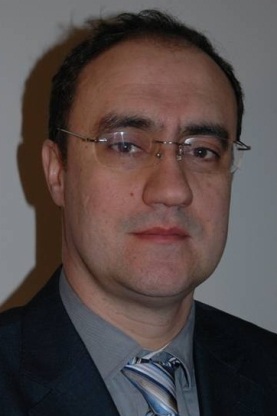 He is now the Head of the General Support Technology Programme (GSTP) Planning and Implementation Section. GSTP is an ESA’s optional programme with an envelope budget of 350M€, whose objectives include: enabling missions of ESA and national programs by developing technology, fostering innovation by creating new products, supporting the competitiveness of European industry, and improve European technological non-dependence and the availability of European sources for critical technologies.